Use this template to track and organize car sales. 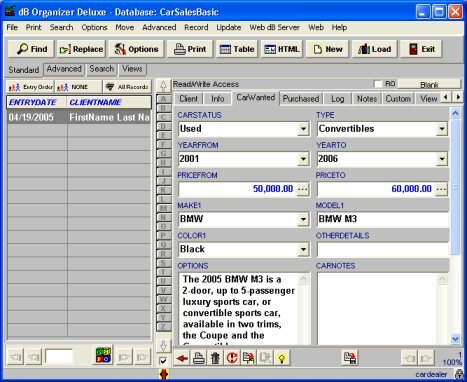 This database template is for car dealers and car sellers. 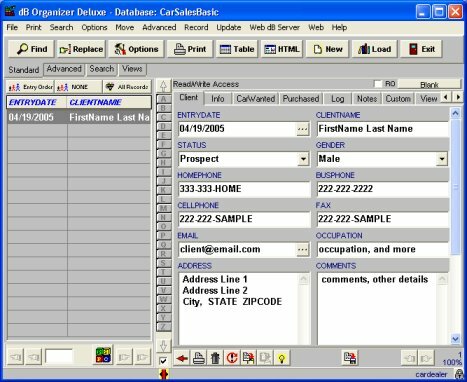 Manage car sales information including: client name, client status, gender, contact information, car wanted, car details (car year, make, model, price range, color), sale information (car price, mileage, car price, commission), contact log details, and more .